Applicants of a local leadership program have access to a new scholarship opportunity. Leadership Prince William (LPW), a non-profit based out of Manassas, has received a grant from Potomac Health Foundation. The funding will allow LPW to offer five full scholarships or 10 partial scholarships to individuals of color who are accepted into its Signature Program this year, according to a release. To be considered for the scholarship, an applicant must live or work in a zipcode Potomac Health Foundation serves — 22125, 22079, 22191, 22026, 22135, 22554, 22556, 22134, 22172, 22025, 22193, 22192, 20112. They should also apply and be accepted into the Signature Program. 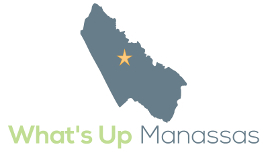 Established in 2007, the program allows participants to explore various aspects of Prince William County and Manassas. Class members also learn about using their skills and leadership abilities in their daily lives. More scholarship options are being offered for candidates who aren’t eligible for the new scholarship program. Those interested in applying for the program must have resided or been employed in Prince William County, or the cities of Manassas or Manassas Park for a year or more by September 1. Community members may apply for the Leadership Prince William Signature Program and the Scholarship for Persons of Color on LPW’s website. Applications are due by June 28. To learn about the program or scholarship opportunities, contact LPW at 571-765-7568.